Photo courtesy of Texas A&M University-Texarkana. TIEC is proud of all 31 of its member universities. In the #WhyTIEC series, we sit down with members of our Operating Council, and discuss what makes their Texas university so special. For our inaugural series we spoke with Jennifer Felps, the Director of International Studies at Texas A&M University-Texarkana. For our inaugural series we spoke with Jennifer Felps, the Director of International Studies at Texas A&M University-Texarkana. 2. Tell us a little bit about your Texas university, and what makes it so special? JF: “Texas A&M University-Texarkana is known for its academic excellence, community leadership, and student success. We are a small university located in Northeast Texas. We have a sprawling 365-acre campus located on a scenic landscape. 3. What are the priorities and/or strategic goals for international programs at your university? 4. What is the utility of having a Texas-wide consortium for your university? JF: “International education is a multi-faceted area of higher education that energizes local, national, and international communities to embrace global citizenry. 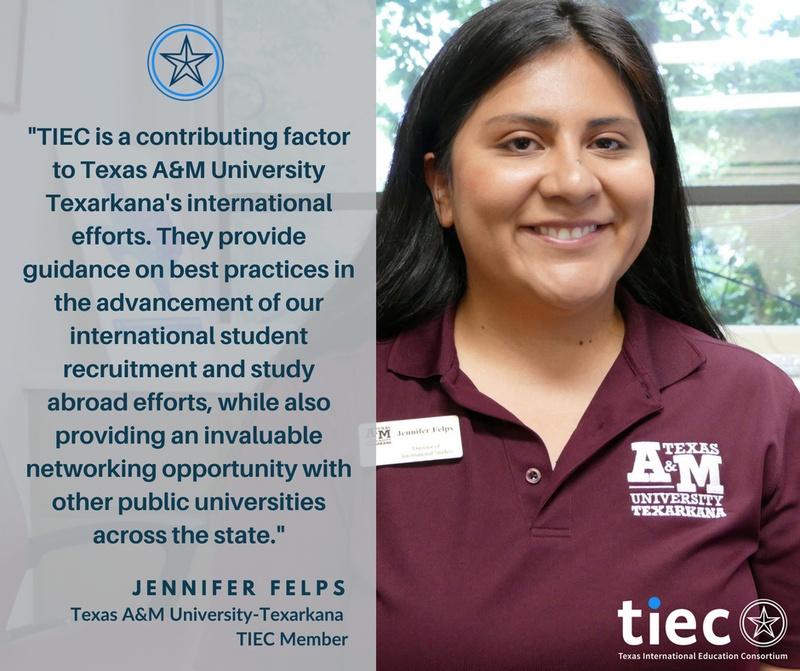 I am excited to lead this effort at Texas A&M University-Texarkana and I’m thankful to have TIEC as an ally in this effort."